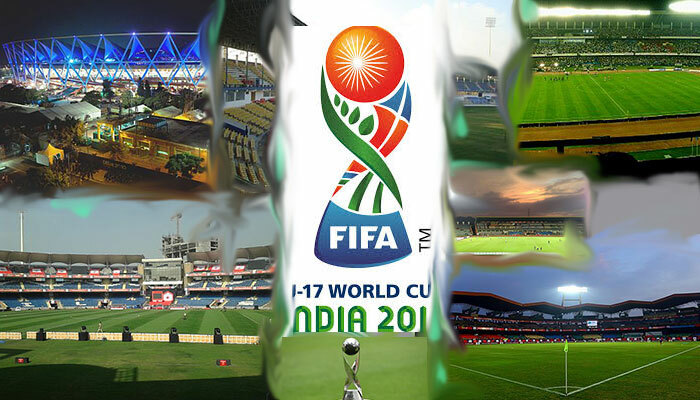 India, who are facing Ghana in a decisive match in a few minutes, face too many ifs and buts to its prospect of progressing into the playoffs stage of U17 Fifa World Cup 2017. In a group led by the United States at 6 points Colombia and Ghana are tied for the second place at 3 points from one win apiece and goal difference of nil. But Colombia having scored more goals are placed second. The USA-Colombia fixture is thus crucial for both Ghana and India. Colombia winning ends the dreams of both teams. So the prayers of both Ghana and India will be behind USA, who would want to top the group with the maximum possible 9 points. Colombia’s defeat will mean they would be stuck on 3 points with a negative goal difference. Then, Ghana will be placed second and go through to the next stage because they already have a nil goal difference along with three points. A win over India will push Ghana to second place at 6 points and qualify them for promotion to playoffs. India will have a fighting chance if USA beats Colombia by a large margin pushing them into the negative goal-difference territory and India beat Ghana (right, you heard me!) by a fair margin. India’s 4 goals’ difference is the biggest impediment to progress even if they beat Ghana and share a three-way tie with Ghana and Colombia. India will have to bring down the negative goal difference and each goal that they score without getting any in reply will increase the negative goal difference of Ghana. Therefore, if India score two goals without getting any in reply, Indian and Ghanaian goal differences will be tied at negative 2 each. If Colombia’s goal arrears is only 1, there will be no contest and they would go through as placed second. Both Ghana and India will be out of the tournament. That is why India needs Colombian loss to USA need to be by a margin of at least three goals. In the case of that eventuality, if India wins against Ghana by anything more than 2-goal margin will ensure India’s passage. Difficult calculus. But why not try when India has nothing to lose! In any case Jeakson Singh’s equalizer against Colombia showed India has it in them to score. It is a different matter that they could to hold on and conceded the decider in a matter of minutes. Had India not lost to USA by 3 goals without scoring any in reply, the situation would not have become so tough. But Indian fans in New Delhi’s Jawaharlal Nehru Stadium have their task cut out – support the national colts. Let us make some noise and pump up our young talents.